Originally from the Philadelphia area (Norristown PA). Skully found himself influenced and inspired by the sound of 90's music. East coast and West coast hip hop was predominant to his musical foundation. The south had yet to emerge as the powerhouse it is today, other than a few groups such as Outkast and SoSo Def. At the age of 19, Skully moved south to The Greater Tampa Bay FL area. Immediately upon touching down in Florida Skully was fortunate to link up with a production group who is now known as Grammy award winning producers JUSTICE LEAGUE which allowed him to maintain his lyrical integrity through out the years. Skully continued to compose music with JUSTICE LEAGUE up until they landed their deal in '06. At that point, Skully found himself back to the drawing board, however with his dedication to his craft and his ability to connect with other individuals who shared his same passions he was able to help form the movement known as Vegaz Boyz. Skully was inspired by the constant night life and the "All in" lifestyle of "Vegas" as well as those in his inner circle, so what started as an inside joke became a staple in the inner city night scene for the extravagant parties and non stop indulgence. Now fueled by the energy from his surroundings, Skully began relentlessly recording and was determined to be the voice of his peers. Saint Petersburg, Florida - July 1, 2016 – GIG Music Group is proud to present the July 1, 2016 new single release by Skully. This announcement is exclusive to the anticipated release of “Fully Loaded” featuring Platinum Rapper N.O.R.E. This inventive ensemble has generated positive energy and sheer excitement from the Critics. 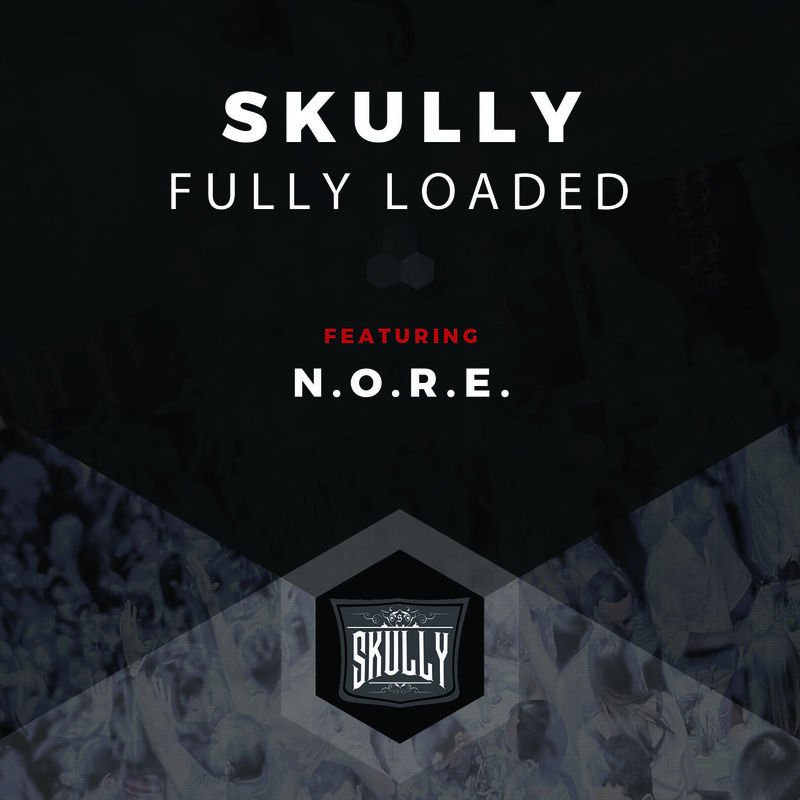 In partnership with GIG Music Group, Skully will release “Fully Loaded” to the world on July 1st. The Single will be available for purchase on iTunes, Amazon and all major online retailers. This masterful Single is arguably an eminent contender to be the number one Hip Hop/Rap Single. “Fully Loaded” has a unique sound that tantalizes the senses with the influence of Platinum Rapper N.O.R.E. “Fully Loaded” will leave an indelible impression on music lovers. A Philadelphia native and Tampa transplant, Skully has always been influenced by the top names of Hip Hop. In fact, the Hip Hop culture has one of the contents in his life. From LL Cool J videos to Philadelphia’s own Beanie Seagal, Hip Hop transformed into a Hip Hop prodigy and devoted creator of energetic rhythm. Skully has evolved over the years to an exceptional contemporary sound. His ability to provide a unique approach to Hip Hop, has made “Fully Loaded” a personal reflection of his individuality. The cumulating of life experiences and legendary Hip Hop artists such as, Nas, Fat Joe, Big Pun and Terrorsquad; have made “Fully Loaded” a powerful new single. This new single is Skully’s debut to the Hip Hop and Rap music genres. This long awaited masterpiece has been developed through a decade of perfecting his passion. Skully is not new to the music world, as he has had the pleasure of working with Grammy Producers Justice League. Skully and GIG Music Group are the perfect team to bring “Fully Loaded” to the forefront of the Hip Hop and Rap community. GIG Music Group is located in Saint Petersburg, Florida. This noteworthy endeavor was undertaken in late 2015 and is sure to be another successful artist launch by their talented creative team. Learn more about Skully atwww.IamSkully.com or with the contact information listed below.